Having a personal website is an advantage in itself. It helps you reach several personal goals at a time, being the top notch destination for everyone, who wants to find out more about your occupation, hobby, professional, personal details, life facts and other information you will upload to the Internet. Whether you plan to launch a project to pursue business goals or just need reliable web presence to present your creativity, hobby or any other info, a website is the first thing you should start with. It will help you grow customer base, drive traffic and boost your web reputation. The size and parameters of a personal website may differ with regard to the plans you set and objectives you have. The same is about the web design tool you will use to create a personal website. If your web design skills leave much to be desired, then there are a few ways you can go to build a website from scratch. You can order it from a web studio or hire a freelancer, but get ready to invest a lot into the project. Mind that it will be close to impossible to manage a website on your own, if you don’t know how to do that. If you wish to be in charge of the web development process to be able to manage and update the project afterwards, then you can choose between Content Management Systems (CMS) and website builders. Content Management Systems are programs, which imply the awareness of coding basics and offer a rich set of web design tools to let you create different types of websites. They enjoy popularity with users of various web design skills due to their functionality, convenient content updates, plugin integration option and high degree of website customization. Website builders are known for their ease of use, which makes them more convenient and simpler for users, who have never been involved in website building before. These platforms are user-focused and specially meant for people, who don’t have time to learn the intricacies of web development yet hope to avail decent result. By choosing a functional website builder, you’ll be able to create a full-featured website in the shortest time possible, even if you are not a web design pro. It’s high time now to analyze the parameters, pros and cons of both system types now so that you could decide on the best solution. How to Create a Personal Website with a Website Builder? Sign Up. Just like with any other program, you have to register with it first. This is fast and simple in most services. What you need is to provide your email, login and password to sign up for the service. Select the Template. As a rule, the themes fall into niche categories based on the niches they belong to. Just access the required category and select the template that meets your needs and adheres to your niche specialization most of all. Mind that some templates are available at no cost, while others are paid. Customize the Template. This is the most responsible and time-consuming part of any web design process. Most website builders offer extensive collections of tools you can make use of to customize the design. What you can do is to adjust background and layout settings, choose suitable colour palette, fonts, styles, icons and other elements available at the website. Upload Content. It goes without saying that “Content is the King”. The quality and amount of information you will upload to the website will have serious impact upon user attraction. Make sure the content you upload is interesting and versatile. Add informative and niche-related articles, integrate media files, create image galleries, slideshows or polls. Content types you will upload depends upon the project you will create. If this is a portfolio, for example, add your own works to showcase them. If this is a hobby-related website, provide enough information to keep users engaged into the subject matter. Make sure to add social media account links, client testimonials, contact info, reviews etc. Choose Domain Name. The domain name shouldn’t be too long or complicated. Otherwise, it will be difficult for users to memorise it. Make it concise, memorable and informative – the domain should be associated with your website topic. Mind that many website builders offer free hosting and domain name. This frequently depends upon the plan chosen. Set Up SEO Parameters. Reach a special website section in the dashboard to set up or modify the major SEO parameters, including meta tags, titles, keywords, descriptions, alt tags for images etc. Check whether all the URLs are human-friendly. This is one of the most important factors that influence SEO. Publish the Website. Finally, you can make your website accessible to the target audience. The publication process takes a few seconds. Enjoy the result! With so many personal website builders available out there, selecting the best tool is sometimes a challenge. Having tested several dozens of platforms, I’m ready now to provide the list of the most popular and functional services that will help you create a personal website from scratch. Wix currently deserves the title of the most popular website builder. This is the all-in-one service, the feature set of which allows building different types of projects for business and personal use. If you intend to launch a full-featured website, Wix should be the first on your list. Wix is convenient, powerful and simple. The website builder offers two web editing options – there is a standard website editor and the ADI option. The latter is the tool, which will automatically design a website for you based on the information you will upload. There is also a convenient mobile editor that lets you modify and update your mobile website version. Desktop and mobile versions are updated separately, but the changes you make in the mobile mode are not displayed in the desktop version. The website builder also comes with powerful blogging and eCommerce engines, which make it possible for you to create blogs and online stores with maximum convenience and simplicity. For proficient web developers, Wix offers a professional Wix Code tool, which allows creating different types of web apps. 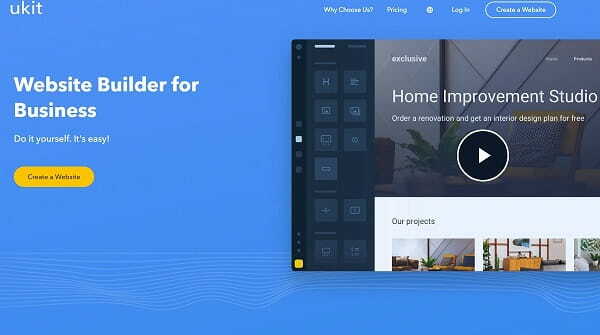 One of the highlights of the website builder is the impressive template collection, which encompasses over 550 high quality themes. Whatever specialization you have, there is a suitable template for you here. The templates are available in dozens of niche categories based on their specialization. For those users, who don’t manage to find the best matching themes, the service offers an opportunity to select and modify a blank template. 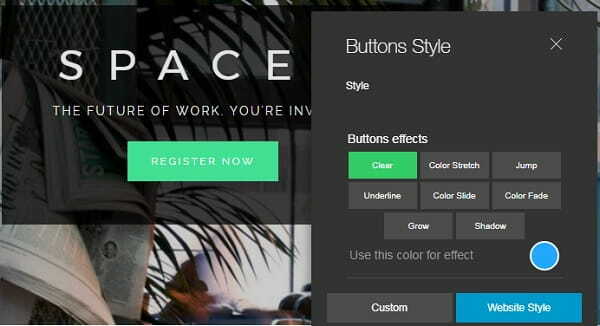 Mind that you won’t be able to switch the chosen template in the mid of the web design process. When it comes to the pricing aspect, the website builder has plans to match any needs. There is a free never-expiring plan, which allows testing all the features of the service for as long as you need that. Paid plans encompass Connect Domain ($4.50/mo), Combo ($8.50/mo), Unlimited ($12.50/mo), eCommerce ($16.50/mo) and VIP ($24.50/mo). 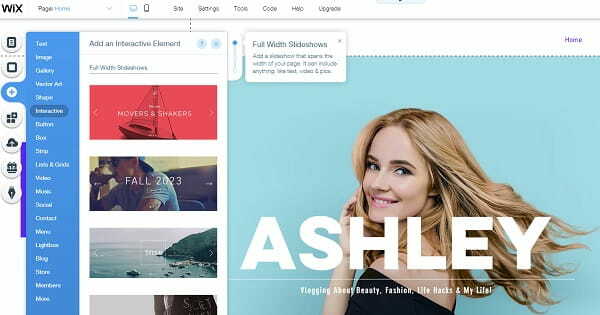 Wix is a website builder that definitely stands out from the crowd due to its convenient and intuitive WYSIWYG website editor, lots of advanced features, adaptive templates and advanced design customization tools. You’ll be able to master and use it, even if you are not a web design pro and this is your first try to launch a personal website. The platform is user-friendly and full-featured – right what you need to get a decent personal website. 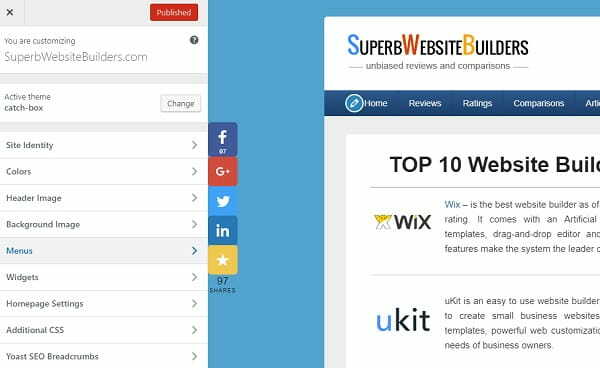 Wix Website Builder Review – The complete Wix review. 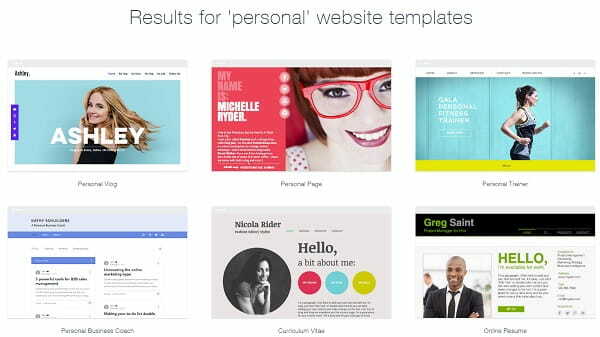 Wix Active Examples – Take a look at real Wix-powered websites. uKit is a cloud website builder, the application sphere of which mostly goes down to the development of personal small business websites. The platform is known for its exceptional ease of use, intuitive nature and convenience for all user categories. When you start using uKit, you can’t but notice its intuitive interface, which features simple navigation and convenience. This is one of the features that make the website builder the top choice for beginners, who need time to master the system. Apart from the business-specific features, the website builder offers multiple widgets for personal websites (SlideShare, LiveChat, Callback, MailChimp, Instagram Feed and Google Maps to mention a few). uKit comes with a decent eCommerce option, which allows building small-to-mid web stores either by connecting the eCommerce widget or by integrating the Ecwid plugin. uKit template collection is worth the attention as well. 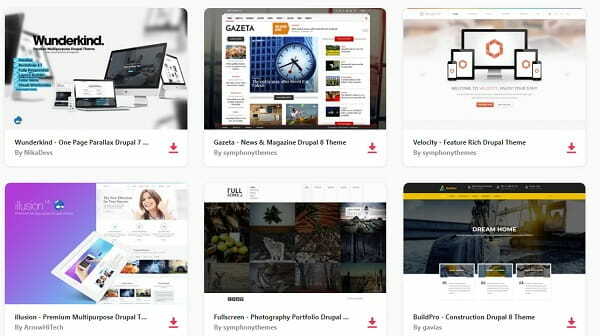 There are 380+ themes here, which are free and responsive. Template customization doesn’t take much time as well due to the broad feature set and intuitive toolbar the system offers. The templates are available in lots of niche-specific categories to simplify the choice. It’s possible to select a blank template here to create a personalized website from scratch. uKit allows changing the templates on any stage of the web development process to reach the desired result. uKit pricing policy is amazingly affordable for everyone. This is impressive, considering the initial orientation of the service upon the entrepreneurs. The 14-day free trial allows checking out all the features of the service. The paid plans are as follows: Premium ($5/mo or $48/year), Premium+ ($10/mo or $96/year), eCommerce ($12/mo or $115/year) and Pro ($15/mo or $144/year). The plans are versatile and there is surely the one to fit everyone’s needs. If you have an idea to launch a personal website, but realize that you lack design skills to do that, then uKit is surely worth trying. The website builder is easy-to-use and it’s very affordable for everyone. Rich assortment of responsive templates, advanced design customization tools and regularly-updated feature sets make the system a decent representative of the web building niche. uKit Website Builder Review – Take a look at the latest uKit review. uKit Active Examples – Take a look at real uKit-powered websites. SITE123 is a free WYSIWYG website builder, the features and options of which allow creating different types of projects in a hassle-free and convenient way. The service ensures intuitive and easy web building process, simple navigation and abundance of tools to let newbies and web design pros complete projects of diverse complexity levels. There is an intuitive website editor here that eliminates the need to learn the basics of coding. The website builder also comes with a decent eCommerce engine, which makes it possible to launch a nice online store with excellent functionality. To do that, you should create and manage product lists, design and modify the show window to give it appealing look, adjust payment and shipping parameters etc. For users, who would like to make their websites available in several languages, SITE123 offers multilingual support. By using the tool, you can create several language versions of your site depending upon the objectives you pursue. SITE123 is also known for its advanced SEO tools, free hosting and domain registration. 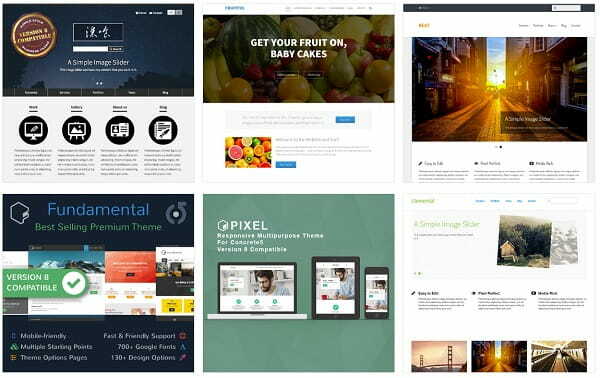 The website builder has one of the best collections of responsive templates. They are available in several categories and are displayed well on all mobile and desktop devices. The templates are free and you can customize the selected theme as you wish. Thus, you can adjust general design settings, integrate widgets, media files and social account buttons, select and upload versatile web page elements etc. The pricing policy of the website builder is moderate and flexible. It is possible to use a free plan to see what the system has to offer. However, to build full-featured websites, you should choose between four paid subscriptions, including Basic ($10.80/mo), Advanced ($16.80/mo), Professional ($26.80/mo) and Gold ($28.80/mo). SITE123 is a decent website builder for personal use. It allows creating nice websites at affordable cost. The system has multilingual support and eCommerce engine, which extends your web design options and allows for creative freedom. The website builder is really worth the attention of users, who need an impressive personal website at affordable cost. 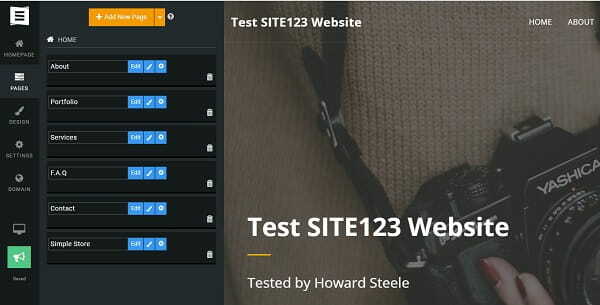 SITE123 Website Builder Review – Read the latest SITE123 review. IM Creator is a cloud website builder, the initial sphere of application of which is personal and business website creation. However, the system can be used to launch websites for creatives, students, non-profit organizations. It has multiple offers and advantages for these user categories. Using IM Creator is simple and intuitive as the website builder has much to offer. There is no need to master programming languages to design top notch websites, even if you are not a professional. What makes IM Creator a worthy solution is its blogging and eCommerce engines. The system allows building online stores and blogs depending upon your website type. To manage websites, you can add and edit posts, schedule them when needed and enable the commenting feature to stay in touch with website visitors. IM Creator web design process implies the use of the Polydoms technology. This is the selection and arrangement of content blocks – Stripes – that helps you design your website structure. This makes the web development process easy and quick. IM Creator design collection is pretty extensive as well. There are multiple niche-specific templates, which are free and responsive. You can select the template and customize it by using the toolset the service has at its disposal. IM Creator templates have modern look. The system allows previewing them before making the choice, which makes the procedure even more convenient for inexperienced users. As to the price aspect, IM Creator initially positions itself as a free website builder. And that’s really so as the system is absolutely free for creatives, non-commercial organizations, students as well as for users, who need quality personal websites. There is also a Premium plan ($8/mo) and the White Label solution for advanced professional use. IM Creator is a website builder, the use of which allows launching a quality and visually-appealing website at no cost at all. The system comes with advanced tools, responsive templates and it’s also free for many users, who don’t plan to make profit with their websites. This is a decent choice you will be satisfied with. 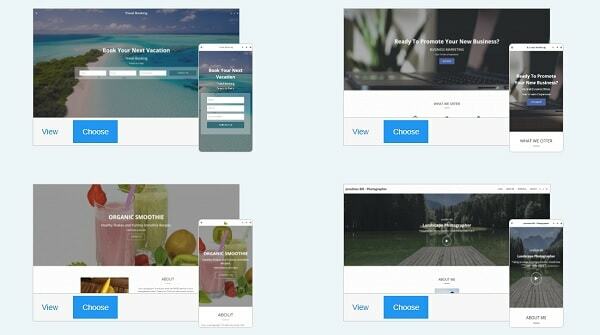 IM Creator Website Builder Review – Read on an updated IM Creator review. Bookmark is a contemporary artificial intelligence website builder. AI is the feature that distinguishes the system from lots of other personal website builders. The service is easy-to-use for everyone, no matter how rich your web design experience is. The website builder is mostly designed to launch business websites, landing pages and web stores. However, this doesn’t mean that you cannot use it to launch a personal website. On the contrary, the website builder makes it possible to create great websites by using the AIDA assistant. It doesn’t require any deep understanding of web design basics or awareness of programming knowledge. AIDA will do everything to create a stunning website for you – just provide the required information, answer the questions and watch the result. All in all, it takes around a couple of minutes to launch a website with AIDA. Bookmark eCommerce module lets you sell products/services online and on the social media. The service supports 50 languages, making it possible to build multilingual websites with a few clicks. The advanced statistics collection system is another highlight of the website builder. It lets you analyze and review your website stats (page views, traffic sources etc.) to make the changes that will have positive effect upon website performance. As opposed to other popular website builders, Bookmark doesn’t have standard templates. 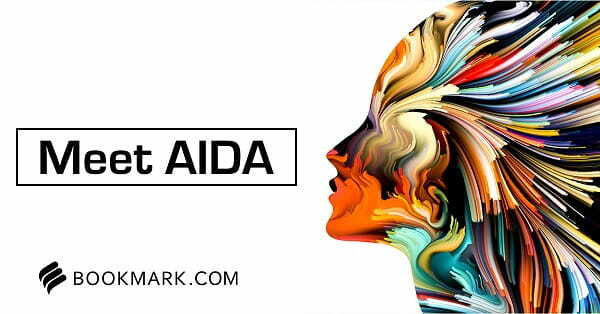 This is AIDA that comes with the abundance of integrated themes. All of them are responsive and you won’t find two templates with similar structure here. This is quite unusual for the AI-based website builder. You can change the templates as often as you need and AIDA will automatically design new websites from scratch for you by using information provided. This is a surefire way to reach the result you hope to avail. The cost of using the website builder is moderate, while the result you will avail can make serious impact upon the target audience. Free plan comes with a set of limitations, which won’t allow using all the advantages of the platform. Paid plans include Personal ($4.99/mo), Professional ($11.99/mo) and Business ($24.99/mo) subscriptions. Bookmark is a decent web building service with reasonable rates. 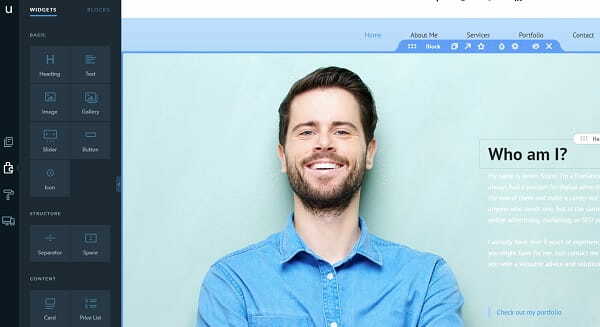 Bookmark is a modern website builder, which allows creating personal and business projects. The highlight of the system is its AIDA assistant, which simplifies the web building process, makes it interactive and engaging. The website builder has a nice eCommerce tool. It offers moderate pricing policy, which definitely adheres to the ranges of services provided. Bookmark Website Builder Review – Full Bookmark review. How to Create a Personal Website with CMS? Select Hosting. CMS don’t offer integrated hosting. You need to find a reliable hosting provider before you start working on your website. Check out the credibility of the service, pricing plans and features they imply. Choose Domain Name. Just like you don’t have an opportunity to choose hosting, you won’t be able to get a domain name from the CMS you will work with. Make it up in advance not to waste time afterwards. Make sure to follow standard domain selection rules to get a memorable and quality domain name. Install the CMS. If the CMS you plan to use is not web-based, then you’ll need time to download and install it. This won’t take much effort and time, but you still have to consider this nuance. Choose and Install Plugins. The majority of CMS don’t come with the entire plugin set. They have standard integrated plugins to ensure basic functionality. You’ll need to choose and install the plugins you prefer. They may be free and paid. Browse those of them you consider important for your website topic and make sure they are safe and quality. Design a Website. Having installed the required plugins, you may proceed working on your personal website development. Select the template (they may also be free and paid) and choose the tools you’ll need to give them the required design. You may look for CMS templates out there, but make sure they are developed by professional and reliable web designers. It really makes sense to pay for a quality theme, which won’t put your website at risk. Upload Content. Having selected the template, it is high time to upload the content. This depends upon the goals you set and the type of website you need. Select and add posts, videos, social network accounts, media files and other elements that will boost your website rating. Adjust SEO Parameters. As soon as you are done with website editing, adjust SEO parameters. Reach a special website section in the CMS dashboard or install a SEO-plugin and browse the available options. Publish a Website. The final step of the website creation process is obviously its publication. This is easy and fast. Just enable the “Publish” button and observe the result! The number of CMS available out there is quite rich and it takes time to select the best service that will work great for your personal website. The choice becomes even more complicated for users, who have little or no experience in web design and, thus, may find CMS features and distinctions perplexing. 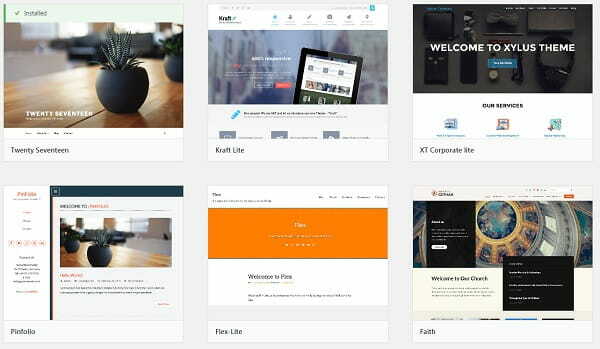 Let’s review the most popular CMS now to help you with the choice. 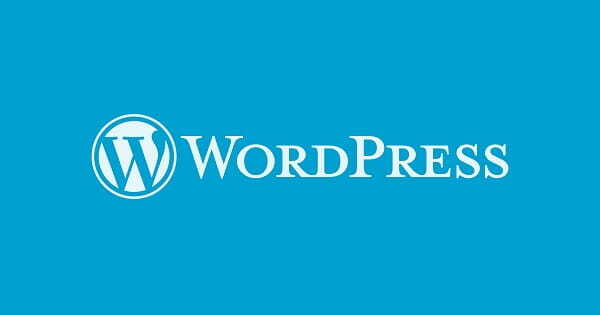 WordPress is, probably, the most well-known Content Management System in the world. Even if you are not involved in website building, you couldn’t but heard about it. The open source platform offers plenty of tools and features needed to launch a decent website. Lots of plugins and themes have been developed for it, which increases the chances to build a top notch personal site. WordPress was initially built as a blogging platform, but it’s functionality has grown a lot since that time. The service is now used to launch different types of websites as there are plenty of plugins you can integrate into the system to get the website you need. The platform is convenient and allows customizing your website content by means of theme and plugin integration. They may be free and paid. Make sure to check the reliability and expertise rate of web developers you deal with, when looking for a plugin on the web. The thing is that some plugins may come with malicious codes, which will eventually pose threat to your website functionality and safety. WordPress ensures quick and intuitive content publication and management. The default visual editor of the system is quite primitive, but there are lots of add-ons and plugins, which notably extend its initially available functionality. If you face any problems or need a professional piece of advice, you are welcome to join the extensive WordPress community to find answers there. WordPress design collection is not quite extensive, but this concerns only integrated themes. Users, who wish to give their websites unique and personalized look, have an opportunity to choose dozens of templates developed by third-party users as well as by the community members. Templates are paid and free, which affects their quality safety level. If you are looking for a professional WordPress theme, it makes sense to make a profound online research and select the best variant. WordPress is initially a free CMS. You don’t have to pay for registering with the service and for using it. However, you’ll have to invest into domain name and hosting. Plugins and templates may also be provided at extra cost. The prices differ based on the item you are interested in. Take your time to make a safe and reliable choice. With over 180 millions of active users, WordPress remains the most widely-used open source CMS in the world. Originally created as a blogging platform, the system now offers plenty of features and tools to let you create different types of websites. Plugin integration feature has made the service even more powerful, which eventually affects its popularity and demand. With over 2.5 millions of installations around the world, Joomla deserves to be called the second largest and popular CMS after WordPress. The software is equally geared towards the skills and requirements of newbies and proficient users, offering each category decent features and tools. One of the most beneficial Joomla features is that its basic CMS tools are integrated and you don’t have to install the plugins or extensions to make use of them. All in all, the CMS has over 7400 integrated add-ons and apps available in the Joomla! Extensions Directory. Even though, Joomla is not considered as newbie-friendly as WordPress, the system still remains convenient and flexible. This especially concerns post upload and management options, which are indispensable when it comes to creating content-based websites. Joomla boasts out-of-the-box multilingual support. This means that there is no need to install plugins to add the required languages to your website. The CMS also offers great customer support options and advanced website management features. The fact that the system provides lots of integrated themes and apps means that a user will have to manually add some of the required features, if needed. This takes time and effort, especially with users, who are not competent in the web building niche. 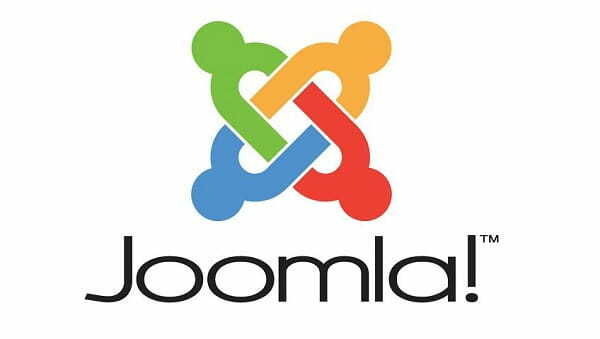 Joomla templates are versatile and available directly in the system. This is a huge benefit for users, who work with the service for the first time and don’t wish to bother about seeking and integrating themes. The CMS has lots of templates for different content types and projects. If you wish to create a unique template, you can do that in the Joomla modular by using the combination of pre-designed content elements. If you lack time or skills to do that, there are lots of Joomla designs available on the web. They are developed by third-party designers and come in lots of categories, both free and paid. Just like with WordPress themes, you should be very attentive, when making the choice to avoid the potential scams. Joomla is a free CMS, but it still implies the necessity to invest into the web development process. To start with, you should select the hosting provider and the domain name for your website. The next step is to choose the template you will customize. Themes can also be paid and free and it’s up to you to decide, which of them will work best for you. Further website management may also cost you a certain sum of money, but this will depend upon your skills, project type and requirements. Joomla is the open source CMS, which comes with considerable extension options and advanced website management features. The system is based on the stand-alone MVC framework. This makes it possible to users to manually create their own plugins and share them with other community members. Drupal is the modular CMS, which was initially created as a student community tool. Today, however, the system is available as a full-featured open-source CMS that has gained worldwide popularity, ranking high after WordPress and Joomla. The service comes with multiple community and web development functions, which allows building different types of personal projects like blogs, forums, personal websites etc. Just like Joomla, Drupal offers flexible custom post management features. It also provides high degree of user control and allows creating multilingual website without any extra plugin integration. The service is known for its taxonomy system and it’s also considered to be more secure as compared to Joomla and WordPress. Drupal features high scalability level. Considering the advanced security options, the system proves to be a decent choice for business websites and it can also be used to launch personal projects. Being a modular CMS, Drupal comes with over 36000 extension modules and over 1100 distributions as a unique solution for standard applications. This unveils multiple design customization options. Drupal designs are versatile and catchy, but you should be a webmaster to create and customize them. The CMS doesn’t have lots of out-of-the-box themes, but many of them are available on the web. They are specially developed by professional web designers as well as by community members. Thus, their quality and safety differ a lot. To be sure you make the right choice, take your time to explore the theme you are interested in. Mind that paid options are generally more secure as compared to free ones. Just like the majority of contemporary CMS, Drupal is a free open-source CMS. You can install and browse the system at no cost. To build a website with it, though, you’ll have to get hosting and domain name for it. It’s up to you to make the choice, but pay attention to the parameters and terms of hosting and domain name providers you are going to work with. Mind that Drupal supports multi-domain management feature. The choice of templates matters a lot as well. To launch a quality website, you won’t go without getting a paid theme. This is a surefire way to feel safe and confident about it. Drupal is a renowned CMS, which comes third in popularity after WordPress and Joomla. The system is full-packed with options allowing to create business and personal websites. It has multilingual support, multiple responsive templates, design customization tools, plugin integration options etc. Mind that the CMS features a deep learning curve, which doesn’t let newbies make use of its entire feature set. However, if your web design skills are on a decent level, then Drupal is one of the best CMS available nowadays. Concrete5 is a powerful and contemporary open-source CMS, which ensures safe and effective web building process. The system has a WYSIWYG website editor and offers lots of add-ons to boost website performance. As a free and open-source MIT-licensed software, Concrete5 gives users freedom of choice to let them create and manage full-featured projects. By using the system, you can start working on your website development in no time, integrating sophisticated apps designed by third-party users. Likewise, you will be able to make the required changes, if you have such a need and skills. One of the major components of the systems’ technology is intuitive editing. The editor of the system makes it simple to customize a website to give it the required look and functionality. You don’t have to be a coding pro to do that as the CMS comes with the in-context editing option and convenient WYSIWYG editor. It allows controlling all the steps of the web design process, seeing the changes you make on a screen. The service also offers multiple add-ons, which extend your website functionality and are quickly installed in the dashboard of the system. The form builder allows creating and editing online forms in a few minutes only, thus giving you plenty of options. Other features that make the system a decent choice include one-click content updating, regulated content workflows, integrated reporting system, user permissions and more. Concrete5 has mobile-optimized integrated templates available in the system’s marketplace. The templates are free and paid. There is a preview option, which allows seeing the details of a theme you are interested in prior to making the choice. There is also the indication of the complexity level of each theme to make it easier for users to decide, whether they will cope with its customization or not. Template characteristics and specifications are very detailed. This is another advantage of the service. The CMS is initially free. You don’t have to pay for using it, but get ready to invest into buying hosting and domain name for your project. Don’t hurry to get the very first offer you come across. Compare the providers, features and parameters they offer and make the right choice. Concrete5 templates are also divided into free and paid. They differ with regard to their quality, safety, ease of installation and special parameters. Concrete5 is an innovative comprehensive open-source CMS, which makes it possible to launch quality personal websites. The system comes with a WYSIWYG feature, lots of extensions and templates to be integrated into your website. The themes are responsive and divided into free and paid samples based on multiple parameters. Concrete5 is a nice choice for users, who wish to get a nice website, but lack skills to do that independently. How to Choose the Service to Build a Personal Website from Scratch? Does the service you plan to use meet these requirements and look professional? Then you can start testing it to make sure it really comes up to your needs. Simplicity and Convenience. Website builders feature exceptional ease of use. This is what makes them a smart choice for users with little or no web design skills. They mostly come with WYSIWYG editors and drag-and-drop features that simplify the entire process of website creation, making it intuitive and engaging. This allows creating a decent and full-featured website in a couple of hours only. Template Selection. These systems offer rich collections of pre-designed templates, which frequently fall into categories based on the niche specialization. The templates are mobile-optimized to make websites display well on all types of desktop and mobile devices. Visual Design Customization. Apart from offering multiple templates, website builders provide powerful visual design customization tools to give them the required appeal and performance. Affordable Pricing Policy. Website builders are really affordable as compared to other web design solutions. They often have free trials or even free plans to enable users to test their features. As to the paid plans, they are versatile and come with different parameters and features to come up to diverse user requirements and budgets. Unavailable Website Migration Options. If you plan to create a project with a website builder, you should realize that you won’t be able to transfer it to another service. Even though, some systems allow migrating from one platform to another, the process may be a serious challenge. Extensive Functionality. CMS are generally powerful systems, which come with a broad ranges of features needed to launch and manage a decent website. Impressive Customization Options. CMS provide impressive design customization options. This implies extra plugin and template integration as well as multiple design customization tools needed to give a website decent functionality. Fast and Effective Web Design Process. Launching a personal website with CMS doesn’t take much time, especially if you know how to make use of the powerful feature set of the service. Even those users, who don’t have experience in web design, will complete the task in several days by integrating free and paid tools, plugins, modules and templates. Flexible Rates. Most open source CMS are absolutely free. This means that you can download and install them for free. However, to get advanced functionality, you should be ready to invest into paid add-ons, plugins, templates and extensions. Hosting and domain names are also paid as most systems don’t offer integrated options. Need of Programming Skills. If you wish to launch and manage a powerful project with CMS, you won’t go without having at least a minimum set of programming knowledge. They are needed to edit website codes, customize the design of your project, integrate extra tools and plugins, update content and manage your website design. Security Issues. Security of websites launched with CMS may be at risk because of the need to install extra plugins and templates. Being frequently developed by third-party users, they may come with malicious codes, which will eventually pose danger to the entire website. When it comes to building a personal website, users may face multiple problems. They mostly concern the available web building options and tools that ensure decent result. This is when the choice between website builders and CMS becomes so complicated. Both types of systems have much to offer users and both of them ensure decent result granted that you know how to make use of the features and tools the platforms offer. So, which type of service will work best for your website? If you’ve ever worked with CMS or have the basic web design knowledge, then using these systems will be a nice solution. The services are powerful and full-featured. This cannot but guarantees decent result. However, get ready to face and overcome the problems you may encounter on any stage of the web design process. Is this is your first try to launch a website? Or, maybe, you don’t wish to bother about all those web design challenges? Then using a website builder is a great solution. These services help establish reliable web presence. They are easy-to-use, convenient and intuitive for everyone. They are also affordable and user-friendly. Just upload your content, adjust the required settings and enjoy the result! Good luck!